Use this price saver bi-metal hardwood blade for clean flush cutting into premium grade woods, nail embedded wood, plywood and laminates. The long-life fine teeth on this blade make it excellent for continuous controlled cutting of most hardwood grade woods. This Q008bi Premium Fine Tooth saw blade is designed for clean cutting of hard grade woods and wood embedded with a few nails or staples. Tough enough to cut through nails, this blade is primarily designed for efficient wood sawing applications. 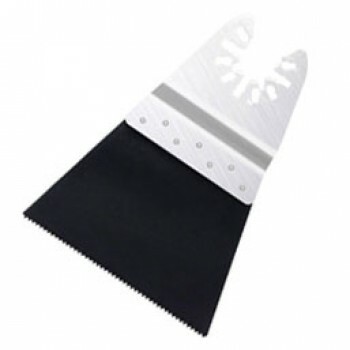 This blade is also excellent for controlled cutting of plastics, sheetrock and fiberglass. Most multi-purpose bi-metal Universal saw blades are slow at cutting wood but this long life bi-metal blade has teeth specifically designed for cutting hardwoods effectively and efficiently. This premium saw blade will also cut a few nails, screws, staples or metal straps. Each blade is made by laser welding a high speed steel cutting edge to a flexible alloy steel back to resist breaking, extending the life and durability of this blade.